One of the many fun things we do in the Scholars’ Lab is help people find geographic datasets. 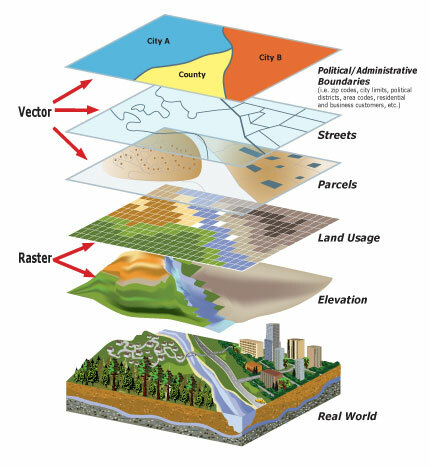 Folks use geographic datasets to make maps and for spatial analysis using geographic information systems software. Finding detailed local-scale datasets can be hard. And finding local-scale geographic datasets for areas outside the United States is even harder, often approaching impossible, which takes a little longer. Charlottesville, the University of Virginia’s home town, is a sister city with Winneba, Ghana. So it follows that the UVa School of Architecture chose Winneba as one of the cities for its interdisciplinary Resilient Communities project focusing on the challenge of climate change and rapid urbanization for coastal communities. Local-scale mapping and analysis for Resilient Communities will require detailed datasets describing both natural and man-made features. 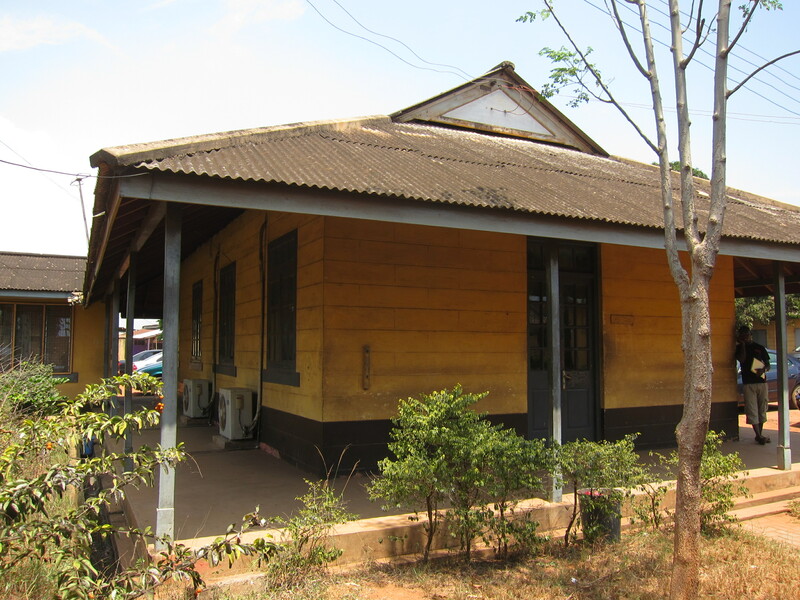 During the summer of 2013 our Scholars’ Lab colleague Matt West invested a good bit of time searching for Ghana datasets. But the datasets found from afar were coarse in resolution, better suited for regional analysis than the kind of local-scale work planned for Resilient Communities. Seemed our best option for success was to find local experts in Ghana with access to the best local datasets. 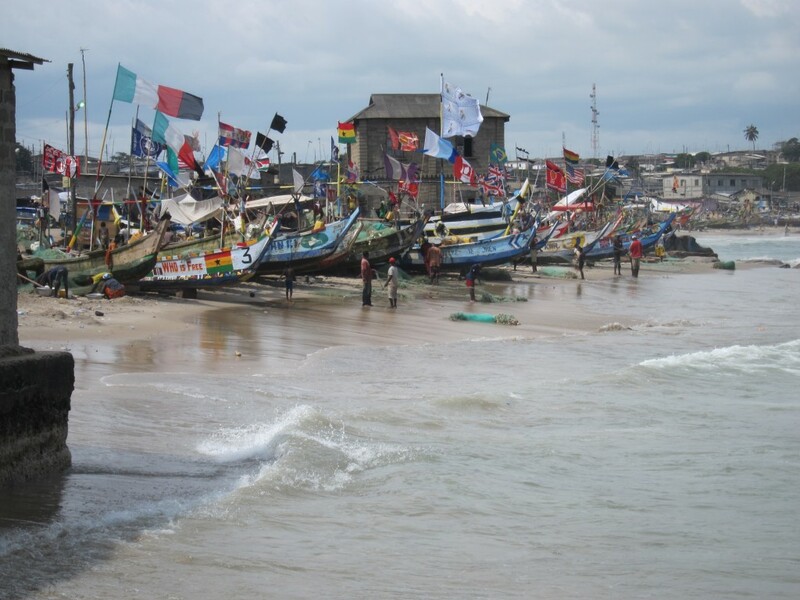 On the Fall 2013 voyage of Semester At Sea, a ship-based study abroad program, I was fortunate to visit Ghana with Nancy Takahashi, distinguished lecturer of Landscape Architecture at UVa. Nancy is leading the Resilient Communities effort in Winneba. Joining us was Semester At Sea faculty member Sian Davies-Vollum, an expert on coastal geology. 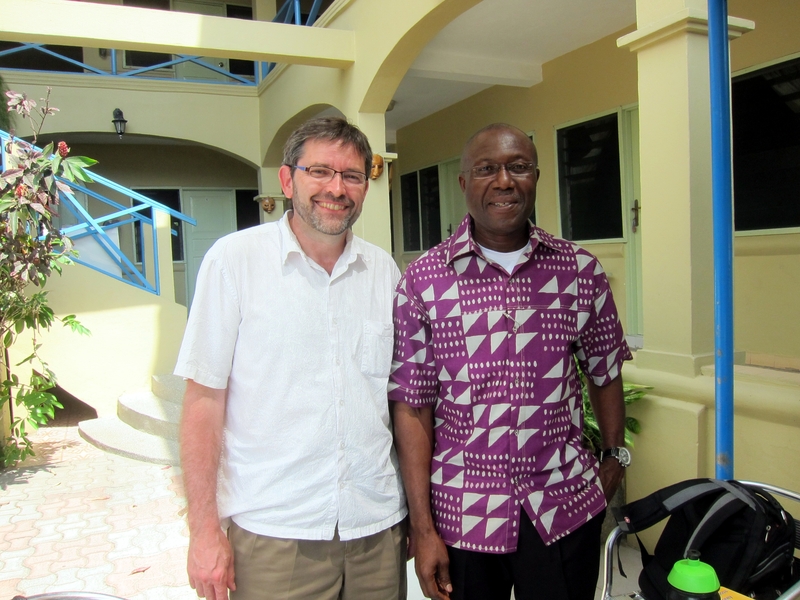 To kick-off the Ghana project, Nancy arranged a series of meetings with Ghanaian experts. Throughout our time in Ghana, city planner and chair of the Winneba-Charlottesville Sister City Commission, Joe Baami gave us excellent guidance. 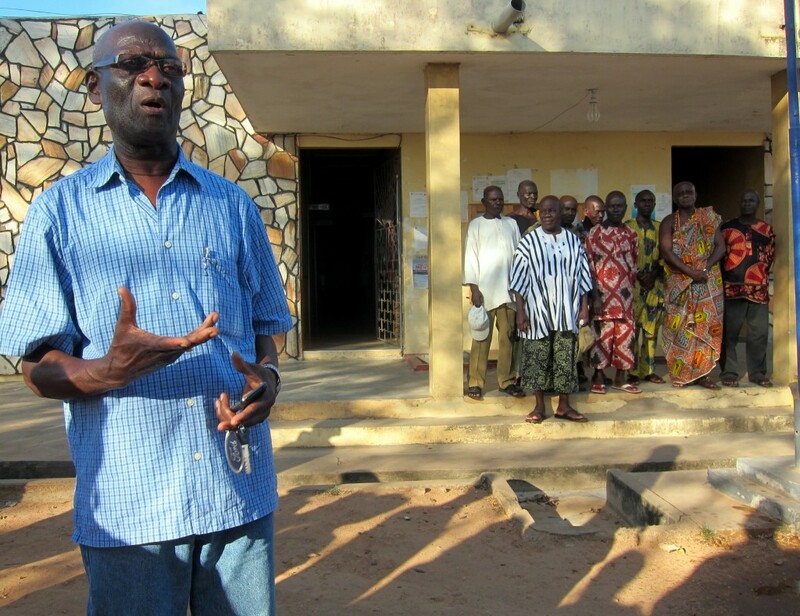 In Winneba we met with local government leaders to learn about the community and discuss plans for collaboration. We conferred with local school officials, visited the site where a new public library is planned, walked the downtown waterfront lined with traditional fishing boats, visited coastal and inland neighborhoods, and generally became more familiar with the lay of the land and local culture. 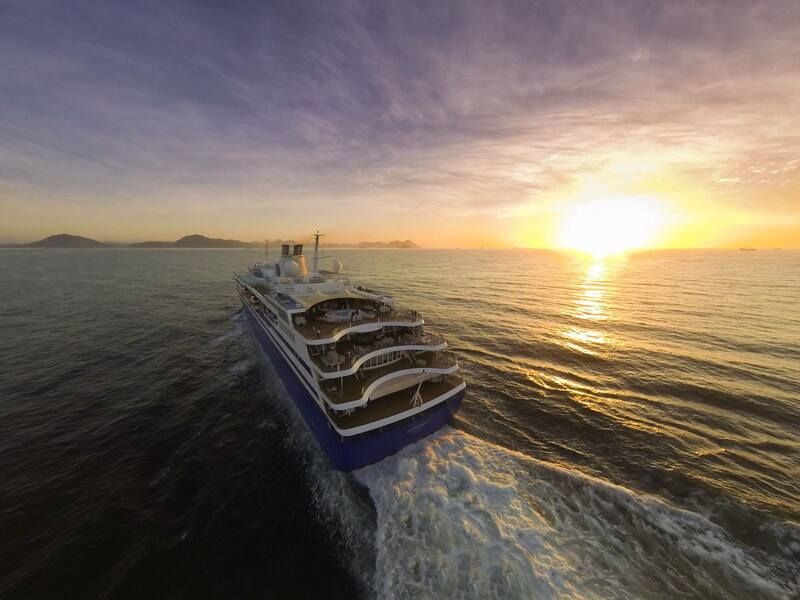 One goal was to lay the groundwork for future visits by Semester At Sea students who will contribute to Resilient Communities through fieldwork and research. To better understand Winneba we needed maps. Ideally we would find locally produced maps showing roads, streams, and elevation contours along with point locations for important sites like schools, clinics, and drinking water sources. 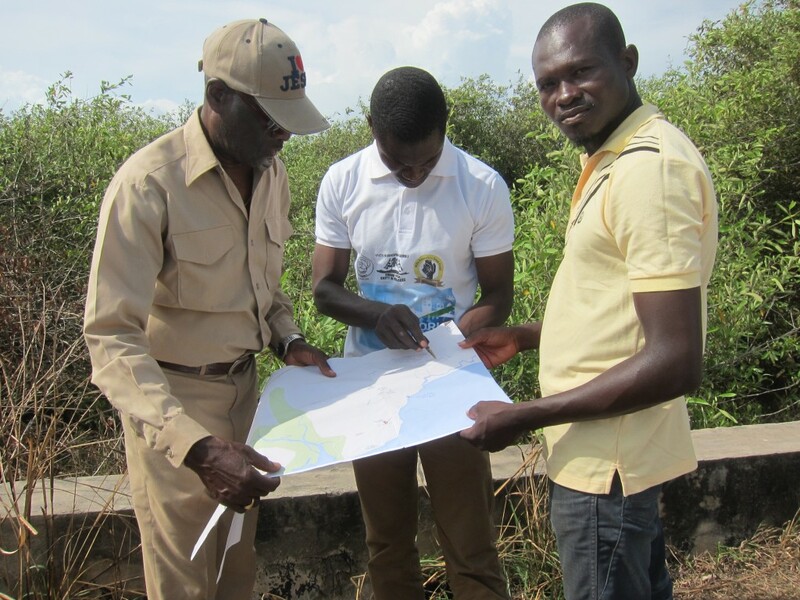 But early in our conversations with Winneba government officials we learned the creation of maps built on local-scale GIS datasets was planned but had not yet happened. So as we toured Winneba we used a printed Google Map (with minimal detail) to orient ourselves. 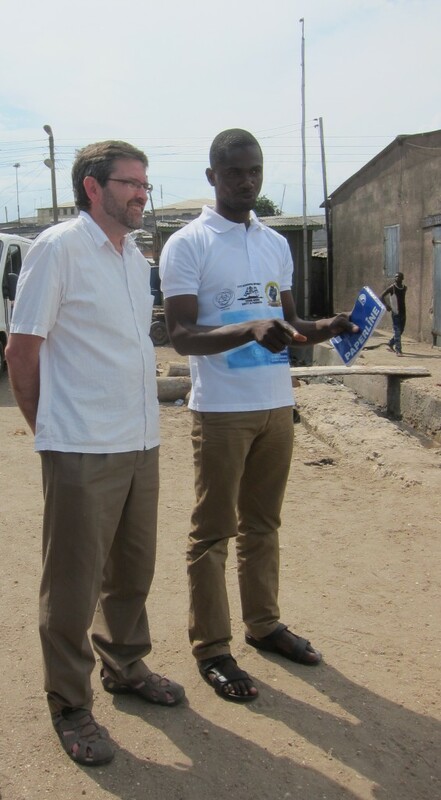 Helping us in Winneba was our Ghanaian colleague Benjamin (Benjie) Akuetteh with the Centre for Remote Sensing and Geographic Information Services at the University of Ghana, Legon. Benjie focused our discussion on the importance of understanding the spatial relationships at work in the community. He believes maps should start every such discussion and invariably serve to bring folks from across disciplines more quickly to a common understanding. Benjie’s many successes working with localities and geographic datasets in Ghana lent credibility to his views. We traveled to Legon in the northern suburbs of Ghana’s capital, Accra, to visit the campus and tour the Centre for Remote Sensing and Geographic Information Services where we met Benjie’s colleagues. It’s a very mappy place. Later, magic happened when Benjie made some calls and found a lead on some Winneba data. So we set off on an adventure to the Survey Office of Ghana in Accra. A series of meetings starting with the Director of Survey at the Ghana Survey Office lead us into a cartographers’ paradise. Detailed datasets for Winneba may already exist! 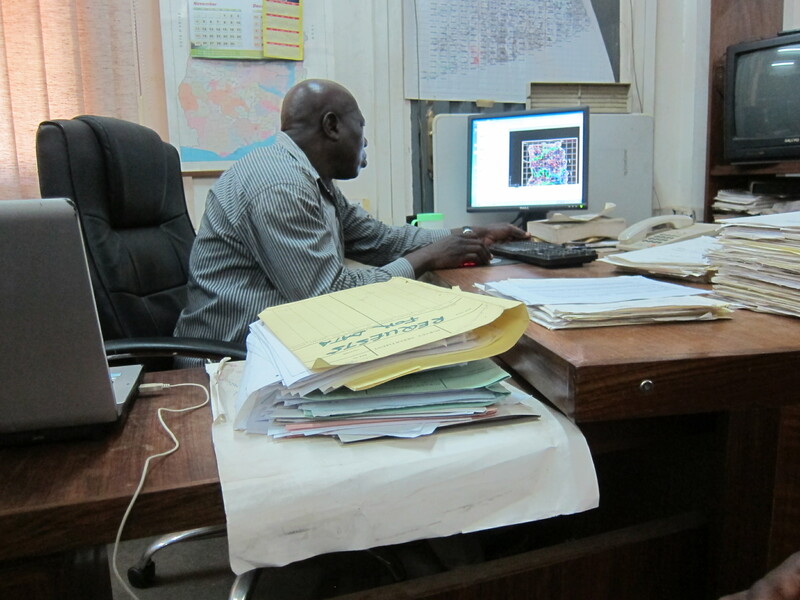 Then at the desk of Charles Nanzo of the Survey Office we saw for the first time those very detailed Winneba GIS datasets flash up on the screen! The appearance of street centerlines, political boundaries, contour lines, and building footprints generated excitement among all the map nerds. Unfortunately we were not able to access the data to examine it in detail but we believe these datasets can jumpstart the process of establishing a detailed basemap for Resilient Communities in Ghana. Since we were not prepared for a large data purchase on the spot, we made some notes with contact information, snapped a few photos, and opted temporarily for a less-detailed paper map purchased from the nearby analog “Map Sales Office”. Now back in Charlottesville we’re working with the University of Virginia Library to acquire the digital datasets from the Ghana Survey Office to make the best use of their content for the Resilient Communities project. Our experience tracking down these digital datasets points to the importance of local knowledge and local networks. Without the help of our local experts in Ghana, these detailed local datasets would not have come to light. Of course, this is only a small first step. We look forward to a long and productive relationship working in collaboration with our friends in Ghana. Cite this post: Kelly Johnston. 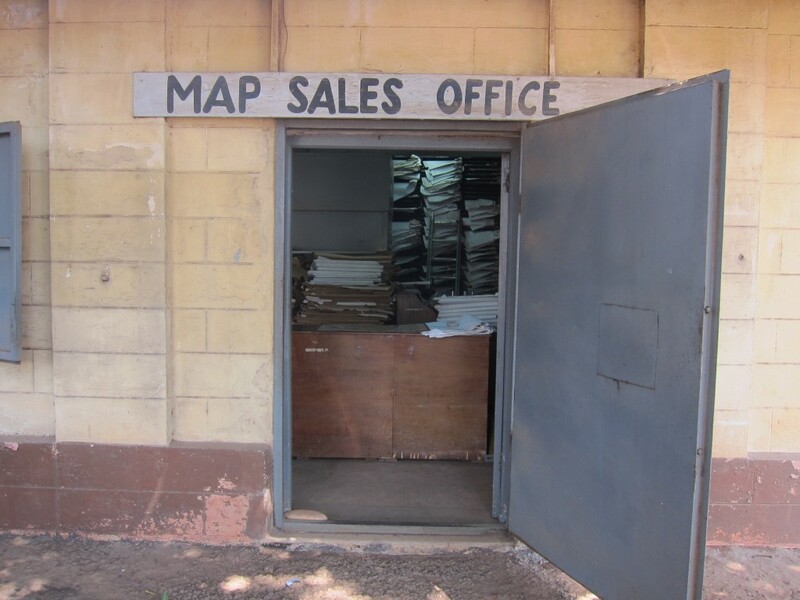 “Map Sleuthing in Africa”. Published January 07, 2014. https://scholarslab.lib.virginia.edu/blog/map-sleuthing-in-africa/. Accessed on .